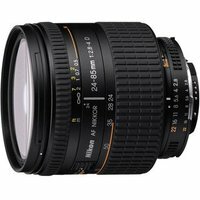 A high performance Nikon 3.5x zoom lens for landscapes and portraits. Compatible with FX and DX digital SLRs (equivalent to 36-127mm on DX). Supplied with Nikon HB-25 lens hood. Accepts 72mm filters.